There is no better way to tackle Spring cleaning than with a Miele Vacuum Cleaner. Save $100 on select vacuum cleaners. Offer valid through April 29, 2019. We’re shining a spotlight on 120 years of German Engineering by offering $120 in savings. For a limited time, Miele is offering 4 complimentary bags of Black Edition N°1 coffee beans with the purchase of any built-in or countertop coffee machine. Select the built-in kitchen appliances package that’s right for you or customize with any of our qualifying models. 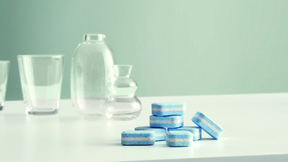 Complimentary box of UltraWhite OR 30% off 6 months' worth of detergents! When you purchased your new WWF060 W1 washing machine you should have received a voucher with the option of getting one complimentary box of UltraWhite OR 30% off 6 months' worth of detergents. Complimentary 6 month supply of detergents! 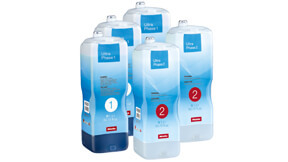 Receive a 6 month supply of detergents (3 x UltraPhase1 and 2 x UltraPhase2) with the purchase of a new Miele W1 TwinDos washing machine. Receive one complimentary fragrance flacon of your choice when you purchase any three fragrance flacons. 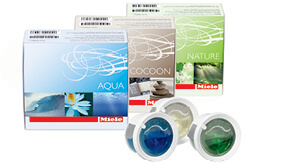 Choose from Aqua, Nature, or Cocoon. For a limited time, purchase an EcoFlex dishwasher and receive a voucher redeemable for 20 UltraTabs Multi for free or 180 UltraTabs Multi at a discounted price. Built to Last. Engineered to Shine. 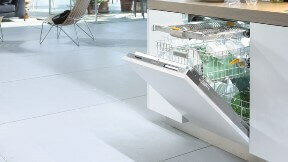 COMPLIMENTARY 5 Year Extended Warranty with the purchase of a Miele Diamond dishwasher. Quietly, the Best Dishwasher in America. Satisfaction guaranteed. 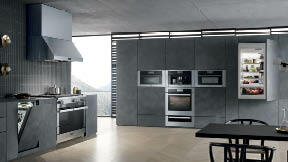 With Miele, your total satisfaction is our top priority. If you are not completely convinced that your Miele is the quietest and best cleaning dishwasher you have ever owned, we will fully refund your purchase within 90 days. Applicable Miele Combi-Steam Oven purchased between January 1st and December 31st, 2018. To receive the complimentary accessory set valued over $500, the Combi-Steam oven must be registered online on or before March 31st, 2019. Applicable Miele products purchased between July 1st and November 30th, 2018. 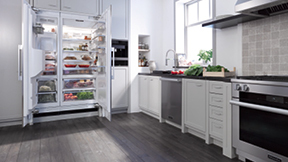 To save 10% on your Miele Kitchen Package, you must receive delivery by May 31st, 2019 and submit a rebate claim online on or before June 30th, 2019.